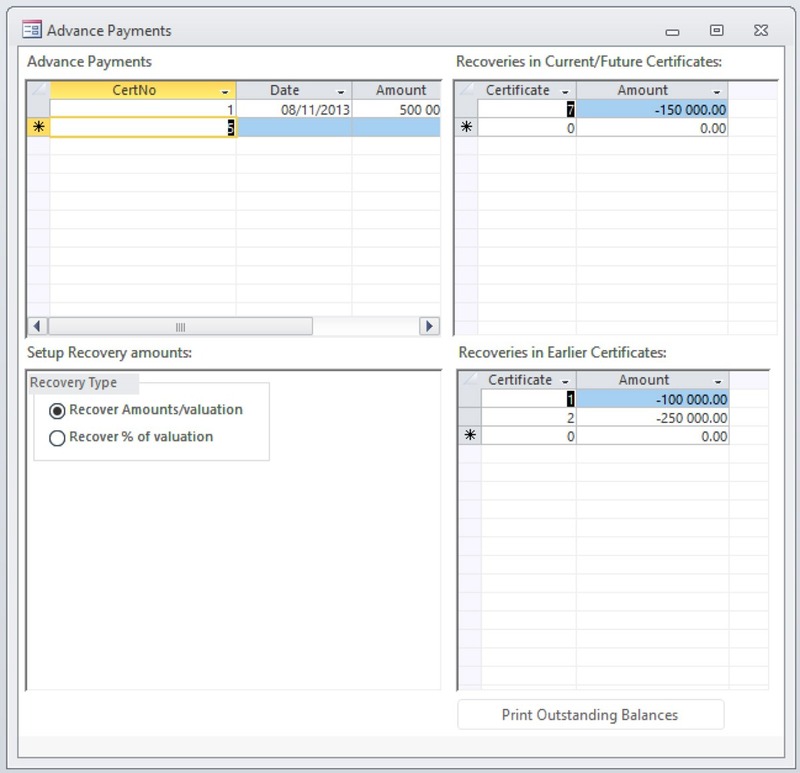 Prepare progress payment certificate valuations based on a default percentage, a bulk allocation of money, or individual inputs by quantity, percentage or amount valued to date. 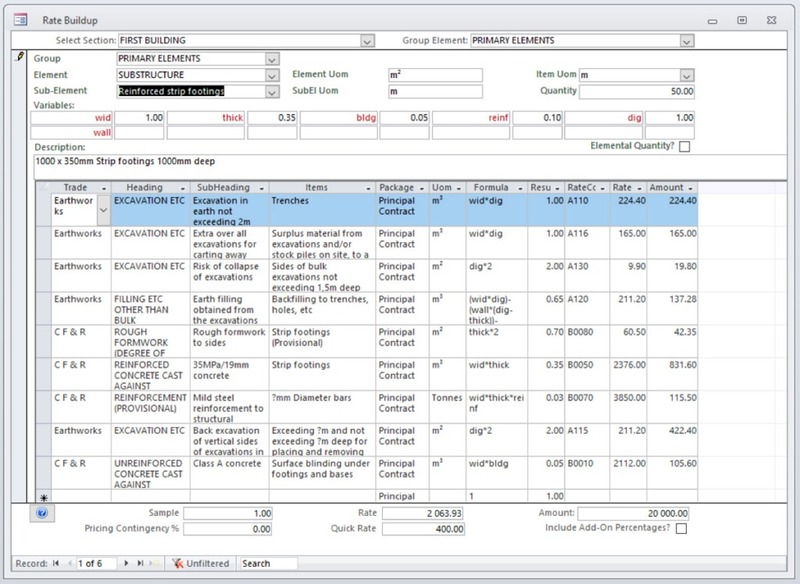 Module freezes contract bill data and allows for payment of original bill items as well as changes to the contract. Both current and previous figures are available at all levels. Allows detailed valuation of “Work done late”. Carries all valuation data through from each certificate to the next – enter only what has changed since the previous valuation. Provides for advance payments and their recoupment, recovery statements and certificates. Provides detailed inputs and reporting on subcontractors whether measured as package bills or entered as subcontractors. 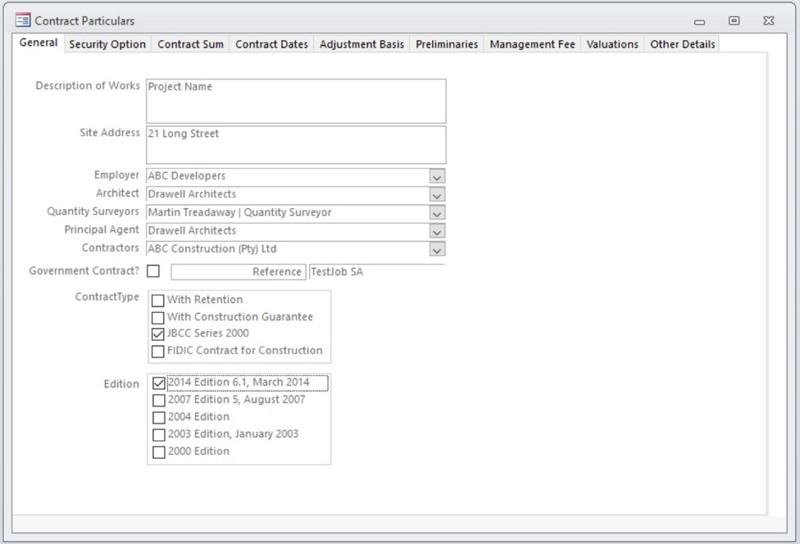 Setup of general contract data such as contract type (retention, etc. ), contract dates, adjustment basis, various methods of valuing preliminaries, etc. When complete, fix the start-up point of your data so that all bill items are available for valuation. Valuations may be made by location where the bills were measured in locations. The details of the Contract type are required including Work groups if the contract attracts CPAP. The mechanism for calculating profit and attendance is present and the various percentages and maxima must be entered to trigger the calculations. Advance payments may be defined with a set of proposed recoveries (the latter may also be entered per valuation on an ad hoc basis). Various international locations require differing recoveries, QSPlus has functionality to recover advance payments made based on a percentage of the work done in each certificate, the maximum being the amount of advance payment. Preliminaries may be calculated in various different ways and this is set up along with the contract particulars. Pro rata calculations may be made on the “Value of work executed” (including or excluding the amount of variations executed to date). Preliminaries may be valued on the basis of agreed amounts per certificate, a schedule of prelims payments set up, or amounts in respect of establishment, monthly and final amounts. All figures calculated or entered are carried through to the next certificate. 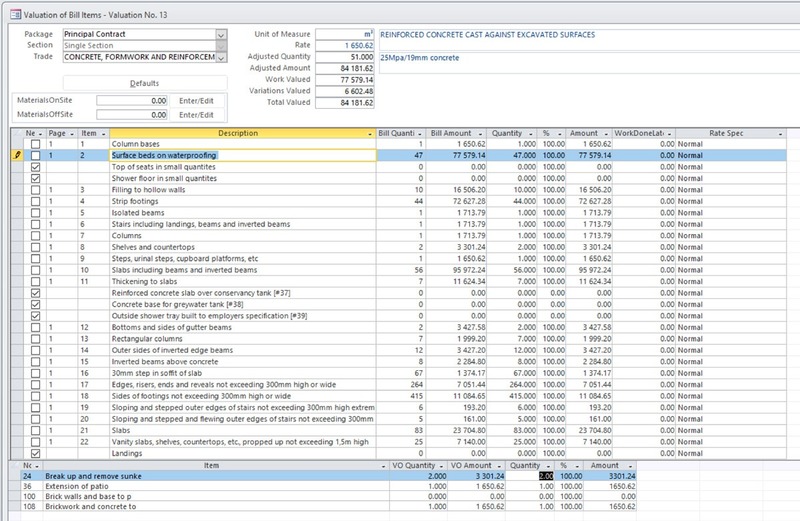 Each cost plan item in the cost plan library is linked to bill items comprising that cost plan item. 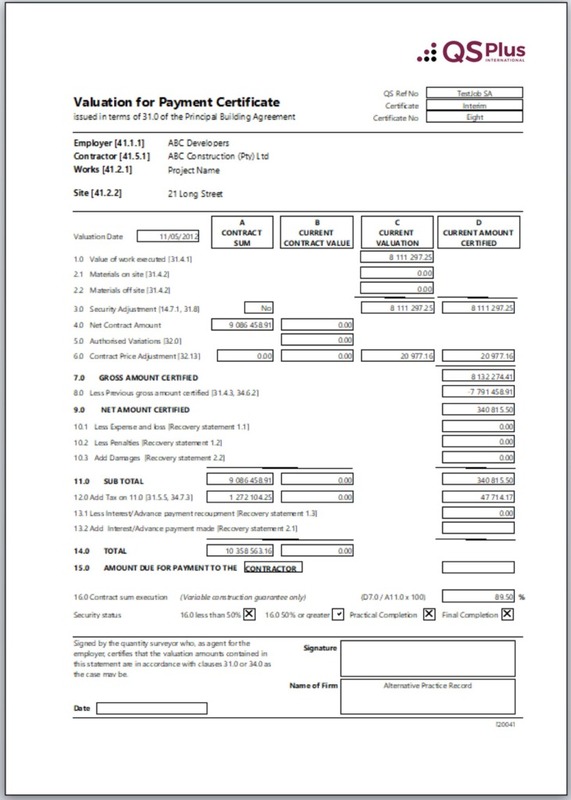 Final account items applicable to any bill item are visible with the bill item and the total adjusted values and amounts to date are available. Valuations may be entered for individual bill items by quantity, percentage or amount are available. A default percentage may be set per trade to be applied to every item in that trade. Work done late may be entered against bill items. Materials on and off-site may be recorded. This function allows the setup of dayworks to be recorded against the contract. This window allows you to allocate an amount to pay without too much detail being required. 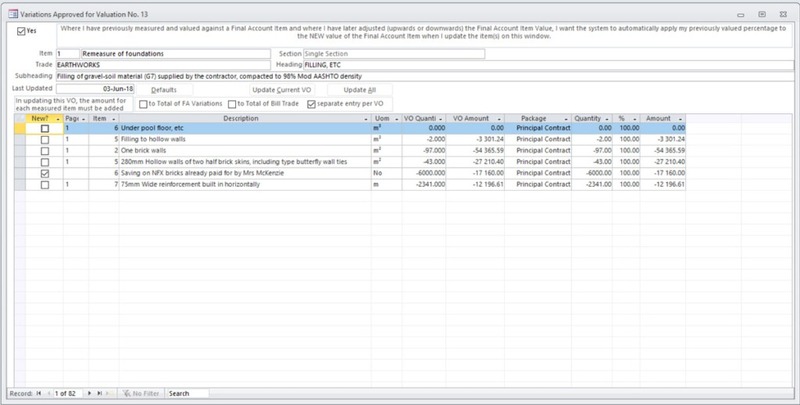 It can be used where a Final account item attracts a payment but has not yet been measured in any detail, in which case the Quick VO should be deleted later when the Final account VO has been measured. 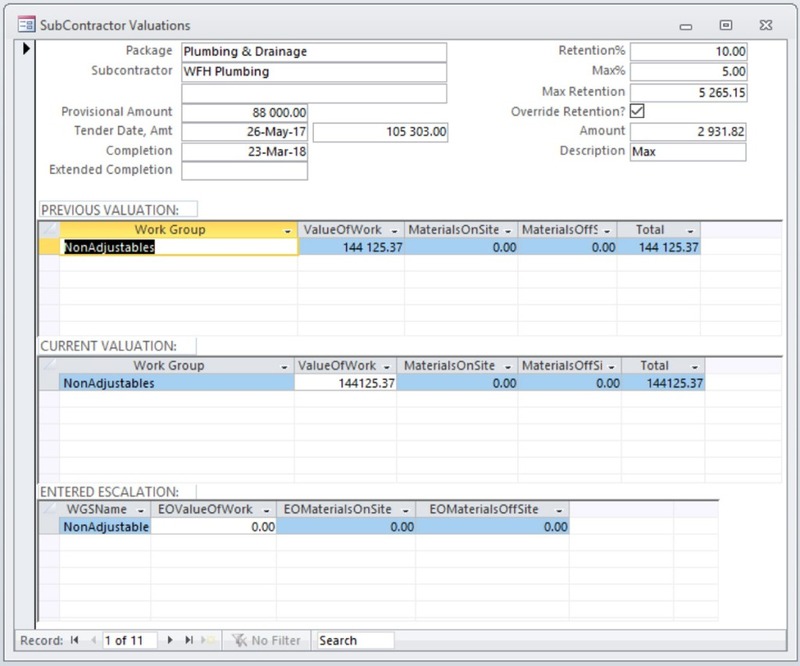 The details of your final account variations are available for valuation based on your own selections. The user determines a cut-off point for variations which means that he can control what information is presented to the client. The final account VO can be further measured after the cut-off point and before the valuation is presented, without affecting the valuation. Subcontractors may be set up and valuations done against their work. Previous valuation figures are visible in each certificate. Work done late may be entered for subcontractors. Presentation documents making up the valuation. In some cases, an Excel spreadsheet of the certificate printout preview can be generated. All figures entered or calculated are carried through to the next certificate. Prepare progress certificate payment valuations based on a default percentage, a bulk allocation of money, or individual inputs by quantity, percentage or amount valued to date. 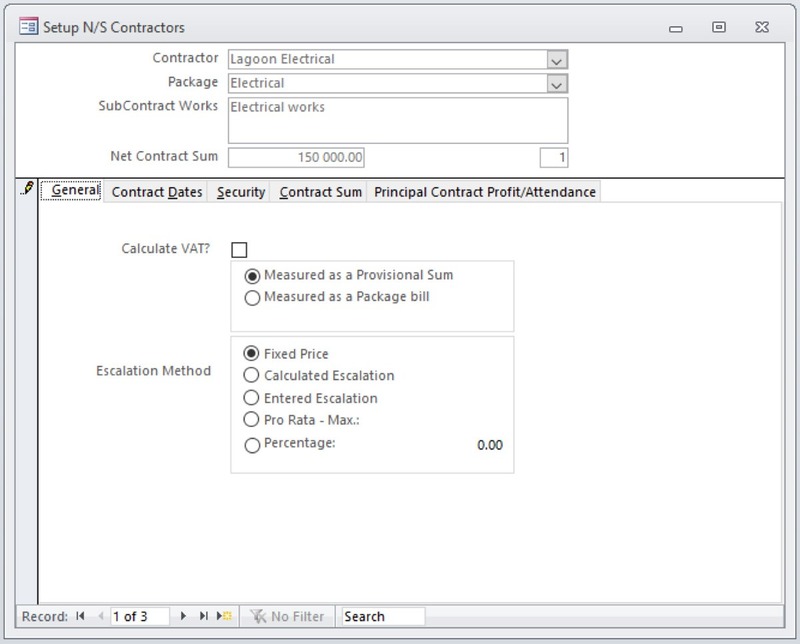 With the exception of Provisional sums (which become subcontract sums), and depending on the basis of your selected Preliminaries valuation option, every bill item is visible on the main Valuation window. Valuations may be entered for individual bill items by quantity, percentage or amount. Alternatively, a default amount to value can be entered per trade and this will be applied to the relevant bill items in a top-down fashion until the amount is reached.